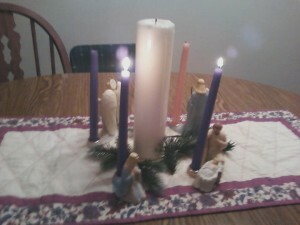 Not only did I find my Advent wreath this week, but I set it up. AND we have USED it. 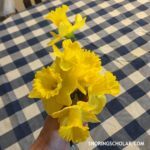 In case I’m not the only person just getting started on Advent halfway through, I thought I’d host something fun next week…a link-up (or “carnival” to those of us who remember the days of such bloggy fun) of Advent wreaths. 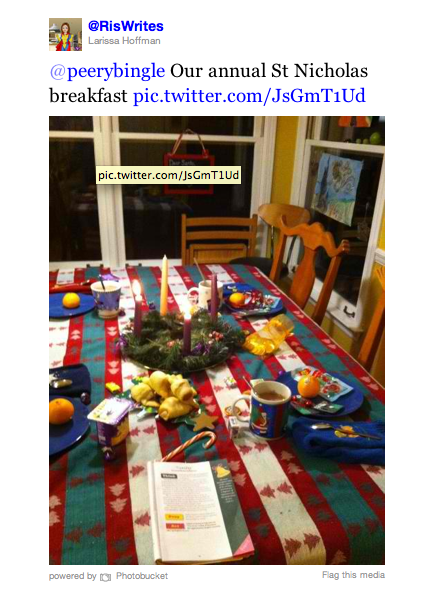 This is inspired, in part, by the people who keep sending me messages with pictures of their Advent wreaths and my book. Know what that book at the end of the table is? Welcome Baby Jesus, by yours truly. So I was inspired: let’s have an Advent Wreath Carnival! We’ll exchange links, post pictures, and have all sorts of fun. Let’s CELEBRATE Advent, shall we? Hope you can participate! Part of what inspired me to actually find my wreath (which involved a special trip to the attic of our old house) was the encouragement of Greg and Jennifer Willits. I had a chance to talk to them on Tuesday afternoon during their radio show, The Catholics Next Door. Best place to buy it? Your local Catholic retailer. 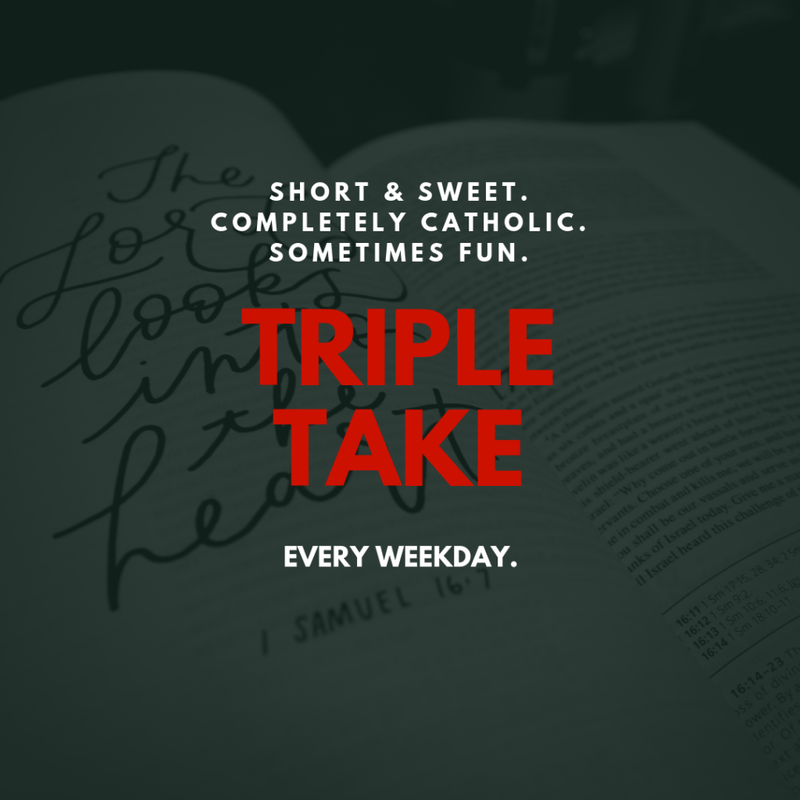 If you don’t have one, consider Liguori (the publisher), Aquinas and More, or The Catholic Company (though, admittedly, they don’t have it for pre-order). Or, yes, Amazon. But let’s keep our Catholic friends in business first, shall we? 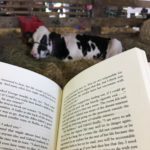 Want a free book? OF COURSE you do! And it’s not just any book…it’s Ellen Gable’s new book, Stealing Jenny, one that should come with a warning label. 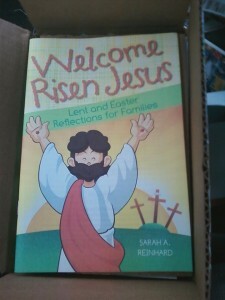 You still have today to enter to win one of the five Kindle copies we’re giving away at CatholicMom.com. But wait…there’s more! 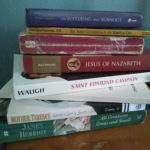 Over at Amazing Catechists, the amazing Lisa Mladinich has organized a giveaway that lasts for ten days, and we’re only halfway through. Be sure to enter each day! 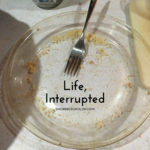 Speaking of Amazing Catechists, my latest column is up: Immacu-what? I was standing at the front of the class, fresh out of Mass. I’d like to say it was a room of fresh-faced fifth graders, but the truth was, we were all tired. I asked them who had been at Mass. “Advent!” They were triumphant. They were confident. They were sure. 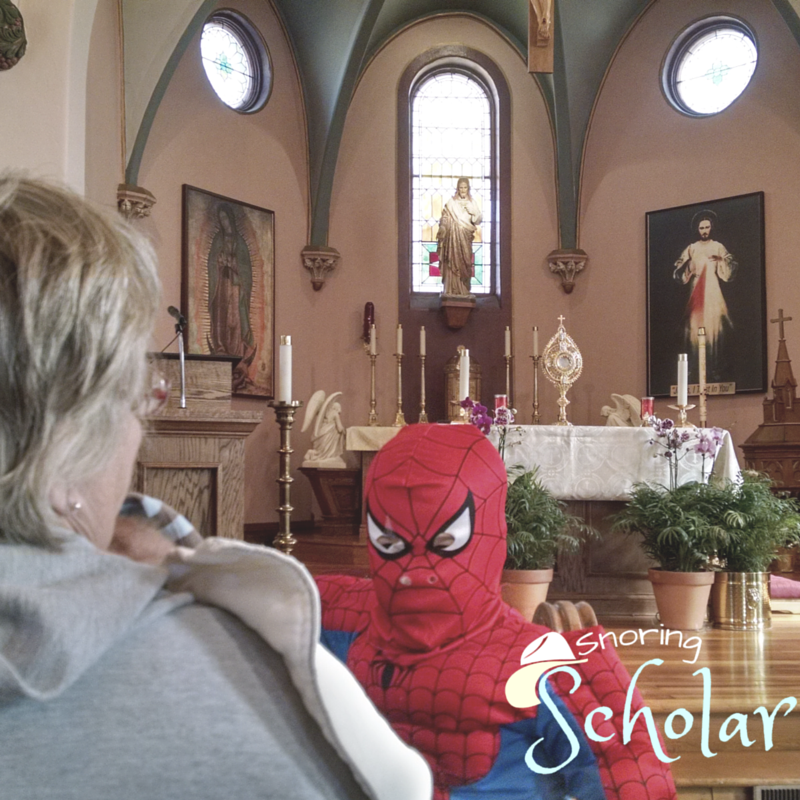 Read the rest at Amazing Catechists. 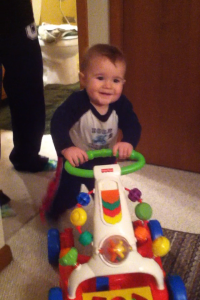 He’s trying to walk and he’s almost succeeding (with or without something to push). Maybe I should quit pushing him down every time he stands up: it’s just making him stronger and more determined (and goodness, we don’t need any more strong wills in this house!). 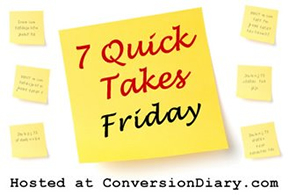 Visit Conversion Diary for more Quick Takes!